Even the most dedicated brusher and flosser needs a little help with their teeth now and then. Wear, damage, and tooth decay are common culprits that not only affect the appearance of your smile, but also its function. If left untreated, cracks, cavities, and broken or missing teeth can impact your bite and cause other issues with your oral health. 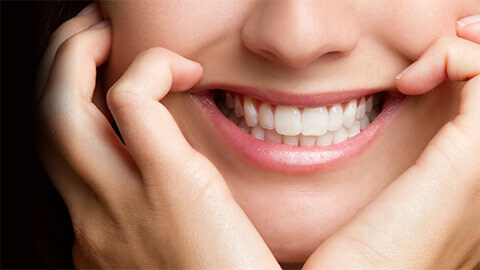 Dental restorations are an important part of your oral health regimen. Using the latest in training and equipment, we can bring your smile back to its old self, and prevent further damage. Most people have had at least one filling in their lives! This common restoration is used to fill cavities, cracks, chips, or wear spots in teeth. Today’s techniques make fillings quicker and easier than ever, and we offer different options to suit your needs. When a tooth has been extensively damaged or has had other procedures like a root canal, it may be necessary to crown it in order to preserve the tooth and improve its appearance. A crown is usually constructed of porcelain and acts like a cover for the damaged tooth, preventing it from any further decay or damage and restoring its place in your smile. Inlays are made from porcelain, gold, or resin, and, like a crown, restores a damaged tooth. Inlays differ from crowns in their form, as instead of going over your tooth, it fits precisely inside it. The inlay provides a highly accurate fit within the tooth’s contours. This tight-fitting restoration not only restores the appearance of the tooth, but also protects it from decay. Similar to an inlay, an onlay is the same type of restoration taken a step further so that the material goes down over the sides of the tooth as well, right down to the gumline in some cases. The onlay still gives the same high degree of protection and natural appearance as the inlay. Bridges are used to replace one or more missing teeth when there are still healthy, natural teeth on either side. The bridge, just as its name implies, spans the gap of the missing teeth, anchored on either side by the remaining teeth, and is fitted with replacement artificial teeth. The end result is a restored smile, with a comfortable, reliable, and long-lasting appliance. Whether you need a large or small dental restoration, we have the options you need to fix your smile and preserve your oral health! Make your appointment today!